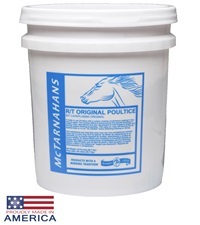 McTarnahans R/T Original Poultice 23 lbs. - Jacks Inc.
McTarnahans® R/T Original Poultice 23 lbs. Race track formulation derived from suggestions of horsemen and veterinarians. Applies as smooth as cake frosting, stays moist longer and provides a longer lasting cooling effect while still maintaining maximum drawing properties. Satisfaction guaranteed. NOW REGISTERED WITH CANADA HEALTH UNDER THE “LRVHP” PROGRAM. THIS PRODUCT CAN BE SHIPPED TO CANADA. 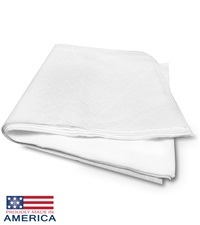 McTarnahans® R/T Original Poultice 5 lbs. 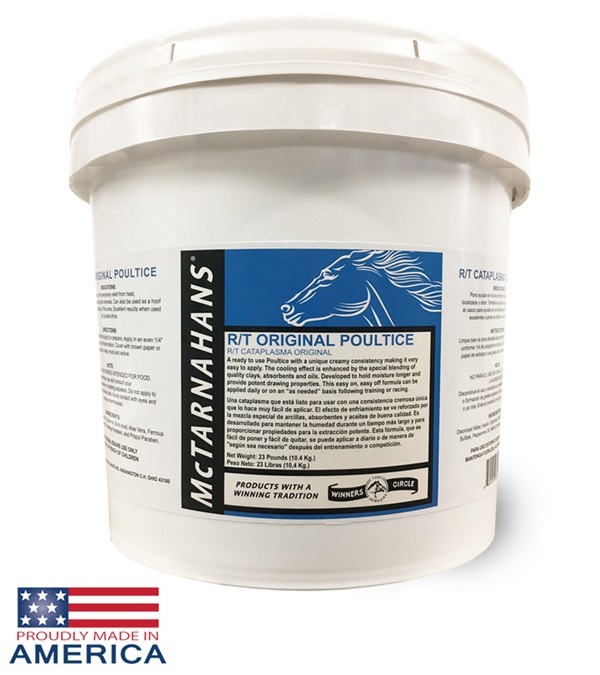 McTarnahans® R/T Original Poultice 12 lbs. 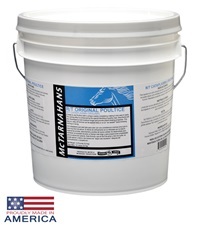 McTarnahans® R/T Original Poultice 46 lbs. 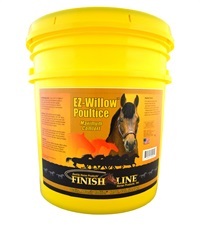 McTarnahans® Poultice Leg Wraps 14"
Finish Line® EZ-Willow™ Poultice 45 lb. 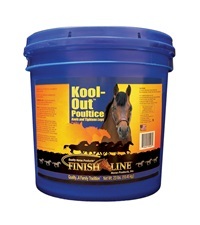 Finish Line® Kool-Out™ Poultice 23 lb.